Vero Beach, Florida is about 8 miles east of I-95 on State Road 60. It's about an hour and a half north of West Palm Beach. Most people think the name came from Vero Gifford, the wife of an early pioneer settler, John T. Gifford. Vero Beach is the place where the tropics officially begin on Florida's east coast. That's not just my opinion; it's a horticultural fact. Tropical things grow in Vero Beach that don't grow even a few miles north of it. Vero Beach is also at the intersection of US-1 and State Road 60. This area is almost like a separate town. And beachside Vero - another separate neighborhood - is at the intersection of State Highway A1A and State Road 60. Although there are several ways to get there, you will enjoy your visit to Vero Beach no matter which route you take. West of Downtown all the way out to I-95. Vero Beach is the official beginning of the tropics, and the beachside area shows this most clearly with abundant vegetation and fine Florida mansions. The central beach area has its own little shopping district in the area where State Road 60 meets the ocean. Vero Beach has wonderful beaches. The main beach is accessible from the Central Beach Business District. Many nice restaurants are in this district, along with a couple of motels and quite a few condos. You will find the beach area of Vero Beach to be more laid back and not as touristy or junky as many other Florida beachside towns. Downtown Vero Beach, on the mainland, is more typical of small Florida towns with the old railroad station and a lot of small retail businesses and antique shops. The area west of Vero Beach straddling State Road 60 has a large regional mall and an outlet mall and many new sprawling subdivisions. Modern Vero Beach is home to some of the most exclusive golf and marina oriented residential developments in Florida including Johns Island, The Moorings and Grand Harbor. Vero Beach is reportedly home to more retired Fortune 500 CEO's than any other location in the world and has the fourth highest concentration of wealthy households in the U.S. Most of these residents live on the exclusive barrier island that is divided from the mainland by the Indian River Lagoon. Many of them refer to Vero Beach as "The Village". This designation as "Villagers" does not please some of the old time Vero Beach natives. These wealthy transplants have helped to finance and create many cultural opportunities in Vero Beach. The Vero Beach Theatre Guild started in 1958. 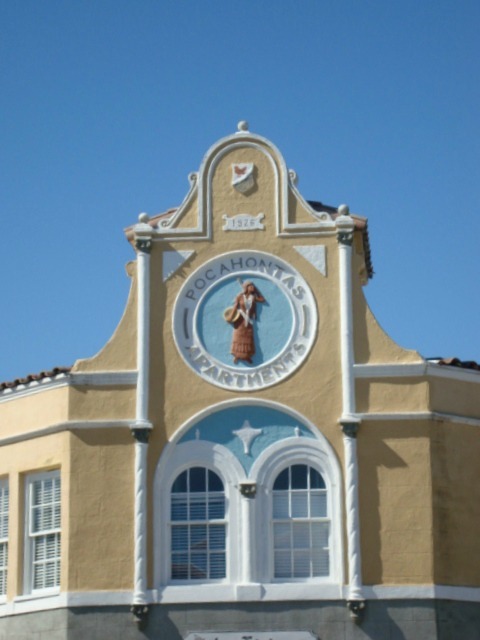 The Vero Beach Concert Association began presenting concerts in 1966. Riverside Theatre opened in 1974, and the Center for the Arts in 1986. 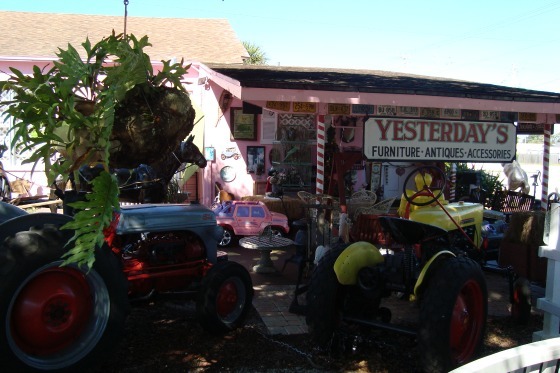 Vero also has several entries in the National Register of Historic Places including the Vero Railroad Station, Driftwood Inn, McKee Jungle Gardens and the Old Palmetto Hotel. Piper Aircraft Inc. has been building Piper airplanes in Vero Beach since 1957 in a plant at the municipal airport. Piper is the largest private employer in Indian River County. Most business activity other than Piper is tourism or citrus based. Vero Beach's busiest tourist season is from December through April. Italian Grill, 2180 58th Avenue, Vero Beach FL 32966. 772-567-6640. Out west between downtown and I-95 near the big regional mall. Great pasta and other Italian dishes, fine Italian dining, good wine selection, nice ambience. I love their grilled chicken and sausage. Pizza appetizers are good too. Ocean Grill, 1050 Sexton Plaza, Vero Beach Florida 32963. 772-231-5409. This restaurant has beautiful views of the ocean and the food is better than average but not quite great. I have eaten there for 40 years and never had a bad meal. It is a must place to visit in beachside Vero. McKee Botanical Garden, 350 US Highway 1, Vero Beach FL 32962. 772-794-0601. This place is famous for its 18 acre subtropical jungle hammock. This dense and diverse botanical garden also includes several restored architectural treasures. The garden is listed on the National Register of Historic Places and is a historic Florida landmark. 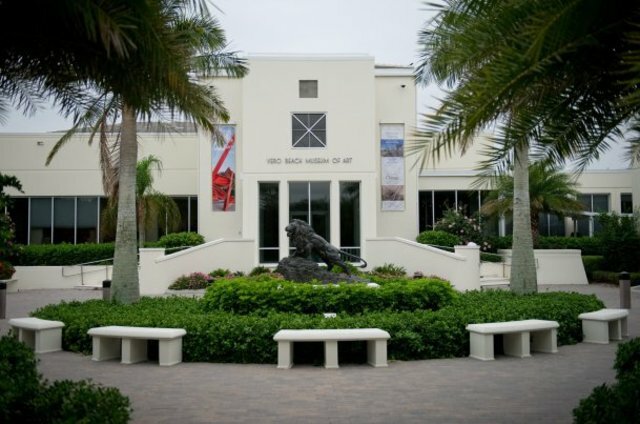 Vero Beach Museum of Art, 3001 Riverside Park Drive, Vero Beach FL 32963. 772-231-0707. This museum is the main visual arts venue in the entire Indian River region. Its neoclassical structure is located in beautiful Riverside Park on the Indian River Lagoon. It has numerous exhibitions, collections, gallery tours, studio and classroom art and humanities education for youth and adults, cinema, community events, lectures, seminars, concerts, dramatic performances and cultural celebrations. The area round the I-95 interchange at State Road 60 has several decent chain motels, including Country Inn & Suites, Holiday Inn Express, and Howard Johnson Express. These motels are 8 miles away from downtown Vero Beach, however, and I prefer the places below closer to town. The two places I recommend below are both on beachside Vero. The Caribbean Court, 1601 S. Ocean Drive, Vero Beach, Florida 32963. 772-231-7211. This 18 room place has beach access and a heated pool. 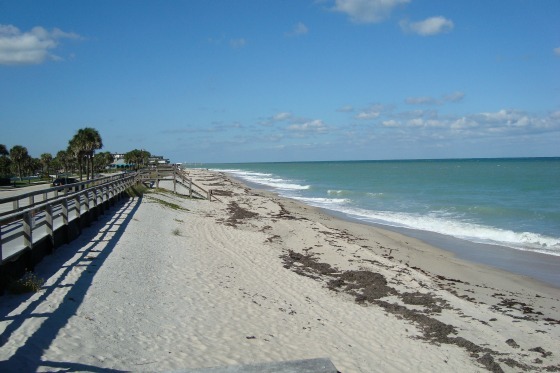 It is located in the choice beach area of Vero Beach. Antique furnishings, hand-painted tiles and original artwork give the room a Caribbean feel. Enjoy live music, tapas and spirits at Havana Nights Piano Bar and the extraordinary cuisine of Maison Martinique Restaurant. 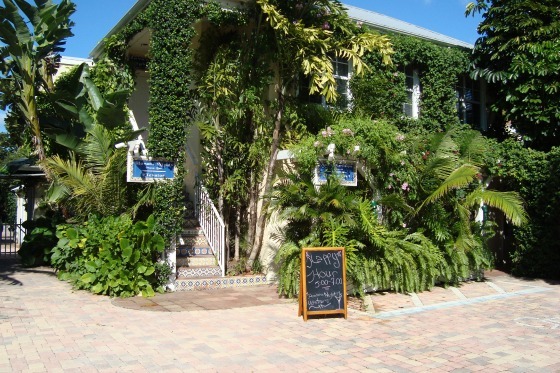 The Driftwood Inn, 3150 Ocean Drive, Vero Beach, Florida 32963. 772-231-0550. This is a time share resort with rooms available to rent. It is built entirely from ocean-washed timbers and planks, housing some of the world's most beautiful art objects, antiques, and artifacts. Its located in the central beach district, directly on the Atlantic Ocean. The Driftwood offers casual dining either inside or poolside at Waldo's Open Air Deck, named after Waldo Sexton, the unique pioneer responsible for building and furnishing the place.